Four new champions were crowned on the final day of the WIAA Boys State Spring Baseball Tournament at Fox Cities Stadium in Grand Chute. Ithaca (23-3) started the day by rolling to a 10-4 win over Rib Lake (20-5) to capture the Division 4 championship. The Bulldogs concluded their third straight state tournament visit with their first ever championship. Ithaca opened the fourth inning with seven straight hits, coming from a 4-1 deficit to pull out the title game victory. 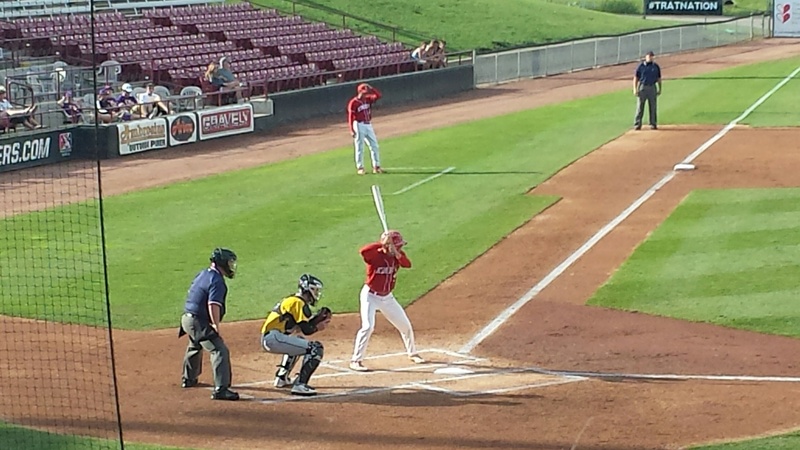 The 2015 WIAA boys state baseball tournament wrapped up with four new champions crowned on Thursday at Fox Cities Stadium. The WIAA Boys State Baseball Tournament is underway at Fox Cities Stadium. The Division 1 field started with eight teams and saw it narrowed to two by the end of the day. The field is set for the 2012 WIAA Boys State Baseball Championships, June 12-14 at Fox Cities Stadium in Grand Chute. All four championship games will be played on Thursday, June 14th.